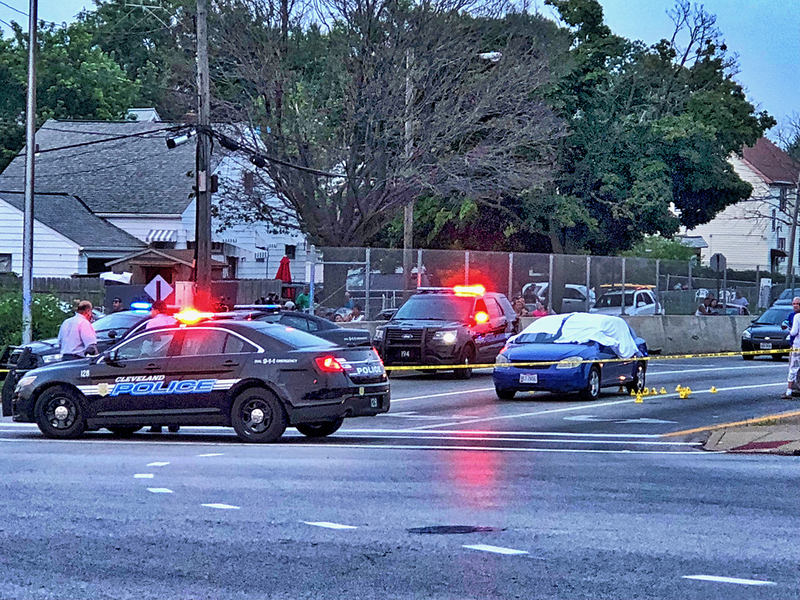 Saturday at 8pm, a person in what is believed to be a gray vehicle pulled up next to the blue Chevy shown above, walked up and fired 15 shots into the vehicle killing Andre Williams (age 35) and Malachia Perez Stewart III (age 35) shot in the head and chest. A stray bullet grazed a 24-year-old woman from Franklin Ave who remains in Metro Hospital. Police need your help in solving this crime. 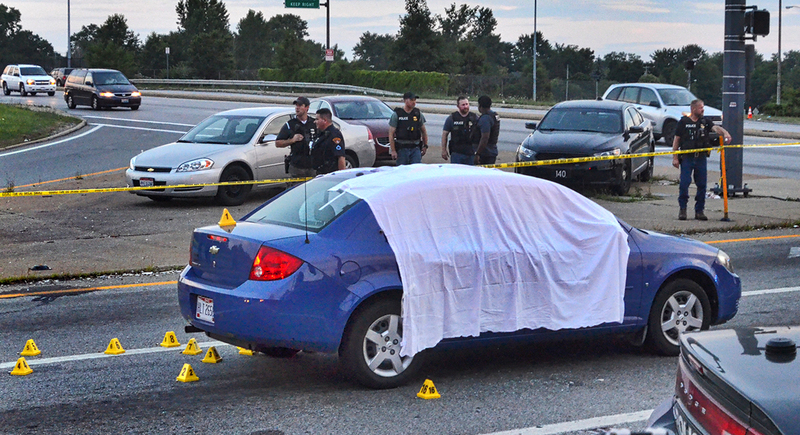 Contact Cleveland Police at Crime Stoppers - 216.252.7463 or the Homicide Unit - 216.623.5464. There have been no arrests made, though police were looking for what they described as a gray vehicle last night. 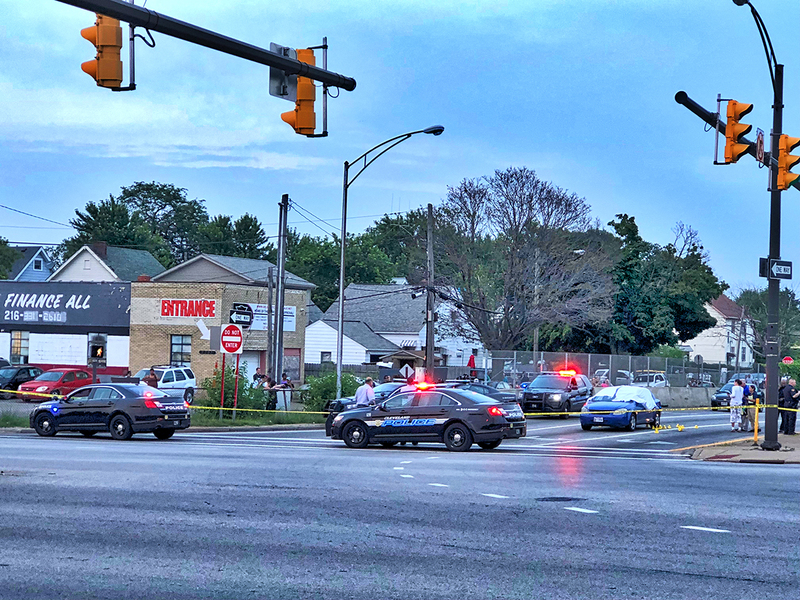 Anyone with any information about the incident, or the 20-year-olds are asked to contact Cleveland Police at CrimeStoppers - 216.252.7463 or the Homicide Unit - 216.623.5464.